Elizabeth lectures and tutors on Buddhism, Southeast Asian Religion and New Religious Movements at the University of Otago. In addition she has taught English as a Second Language in New Zealand and Thailand, worked for NGOs in Cambodia, and done research in Cambodia, Thailand, Laos, Burma, Arakan and Southwestern China. Publications include a book on New Religious Movements in Cambodia, articles on Cambodian Buddhist nuns, the relationship between Buddhism and politics, the biography of the Buddha, and the religious iconography of Mainland Southeast Asia. Elizabeth’s research interests centre on the religious art, literature and material culture of mainland Southeast Asia. 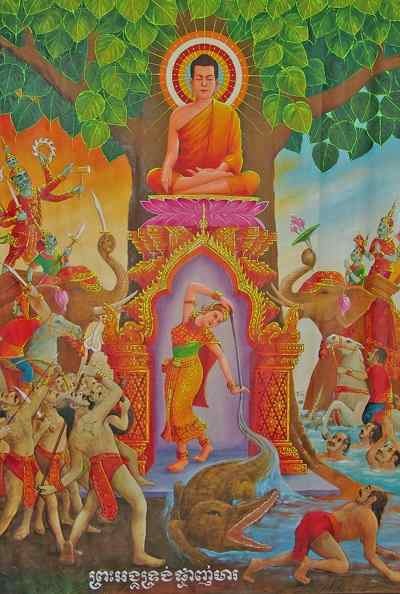 Her doctoral research was on the text and iconography of the Buddhist earth deity who witnessed for the Buddha at the time of the Enlightenment. She is currently in the process of turning the thesis into a book for Silkworm Press Chiang Mai, Thailand. Another project is documenting Buddhist temple paintings from the late colonial period in Cochinchina (Cambodia and Vietnam). Ongoing research interests include religion and migration, popular Chinese religion, Buddhist nuns and laywomen in Southeast Asia, new religious movements in Cambodia and Thailand, and the religious healing rituals and techniques of Southeast Asia. From 2008 Elizabeth worked with Dr. Chaisit Suwanvarangkul to develop a classical Sanskrit reading group for interested students in the department, which from 2010 has been offered as a formal part of the department's teaching programme.